Personalisation is crucial to delivering the right message to users at the crucial moment, as their needs change throughout the consumer journey. If you’re looking to boost engagement and increase conversions (without increasing traffic) then personalisation is going to be a fundamental part of your CRO strategy. The only problem is personalisation can be a tricky process – especially in the age of GDPR. In this article, we’re looking at 10 of the best content personalisation tools that’ll boost engagement and sales. Whether you’re in ecommerce/retail, the travel industry or B2B marketing, you’ll find the right platform to create richer experiences for your users and turn more of them into paying customers. RightMessage is a behavioural personalisation platform that makes it easy to adapt your page content based on which ad users clicked, the site they came from and a range of user actions that don’t demand personal information – ideal for simple GDPR-compliant personalisation. Once users are progressing through your sales funnels, you can also display CTAs based on their previous actions, hide signup forms for people already on your email list, show testimonial and case studies based on their industry and adapt your pages with more relevant messages. 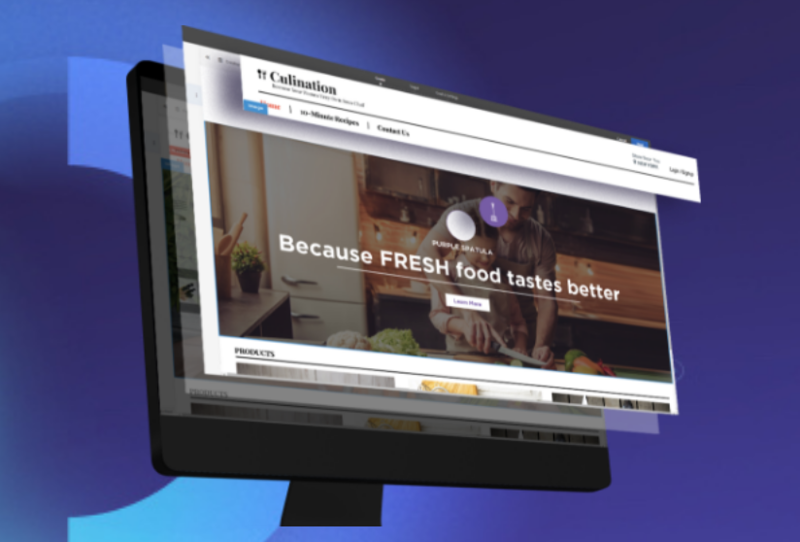 RightMessage comes with a collection of recipes so you can create campaigns in no time and there’s also a drag-and-drop builder that makes creating your own personalisations a breeze. If you’re looking for a simple, easy-to-use personalisation tool that doesn’t require any programming or extensive data skills, this is a great place to start. Omniconvert is a conversion rate optimisation (CRO) platform that combines surveys, A/B testing, popups, audience segmentation and personalisation features. As you’ll see from its case studies page, ecommerce and retail brands make up its highest-profile users but it also packs features designed specifically for digital agencies, SaaS companies and content publishers. On the personalisation side of things, you can adapt your messages based on more than 40 data points – including user location and the local weather, users who have visited the same product or service page multiple times, the source of traffic and a range of actions they’ve taken on your site. The platform focuses on three types of personalised messages: adapting the content on your web pages, creating personalised popups and targeting users with surveys. Compared to RightMessage, you can do a lot more with OmniConvert but this comes with a certain amount of added complexity, which may be a good or bad thing depending on your needs. Evergage is a sophisticated personalisation platform that uses machine learning to create richer experiences for users. To make this happen, you’re going to need the right data and Evergage comes with a dedicated Customer Data Platform that creates profiles of your customers from different data sources – all of which you can use to create more relevant messages. You also get behavioural tracking, segmentation, targeting, triggered messaging, recommendations, A/B testing and built-in Analytics and attribution features. This gives you a lot of power to deliver personalised content to users on your site and in your emails. You can also use Evergage to create personalised search results based on their previous actions – a great feature for online retailers. Bunting is designed with ecommerce brands in mind – especially those with an extensive catalogue of products to sell. If you’re in a constantly changing retail segment (think fashion where new seasons are always around the corner or consumer tech where new devices are constantly being released), this is the personalisation platform to check out first. Product recommendations are a big part of the Buntin experience and the platform’s machine learning algorithms excel at this. Crucially, you can also use its point and click editor to design your own recommendation that fit in seamlessly with the design of your site. You can also create content for different user segments and target first-time visitors with different messages to repeat visitors, existing customers and more. You’ll also boost your email marketing efforts with personalised content and product recommendations based on recipients’ place along the consumer journey. This is a vital tool for turning one-time buyers into repeat customers and Bunting’s product recommendations are highly effective here, too. Earlier this year, we decided to try something different with one of our blog posts. We asked users questions throughout the post and showed them personalised content based on their answers. The results were impressive (37.59% increase in average time on page; 12.9% reduction in bounce rate) so we decided to run with this idea. All in all, we’ve seen an 88% increase in engagement by publishing these types of articles and we wanted to share the wealth. So we created our own WordPress plugin that allows you to do precisely the same thing. You can see another example of this in action and get more information about the plugin by reading this article or head straight to the WordPress plugin page. Optimizely is one of the most popular CRO tools for B2B brands and major publishers. Aside from Web Experiments (testing), the platform also offers extensive Web Personalisation (content) and Web Recommendations (products, downloads, content, etc.). 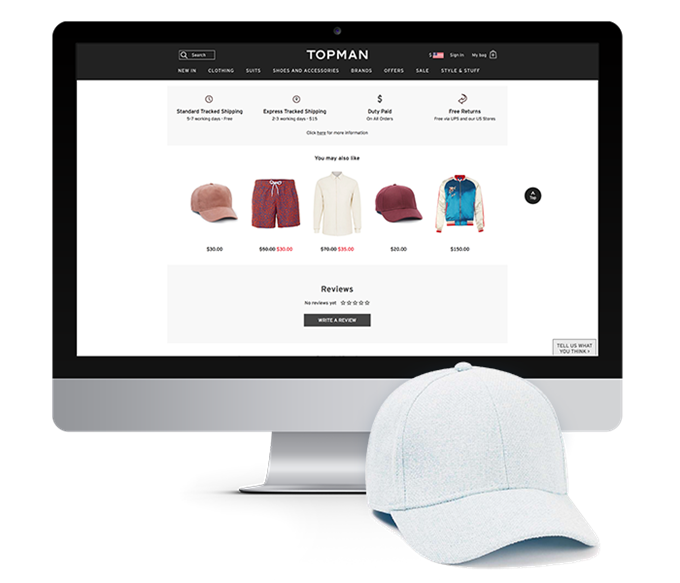 You can personalise content based on their location and weather (fashion seasons, news events), previous purchases and a range of behaviours on your site. Optimizely also has a dedicated recommendation service which goes beyond the usual product recommendations. You can also target users with recommended articles, downloads and other resources across your website. 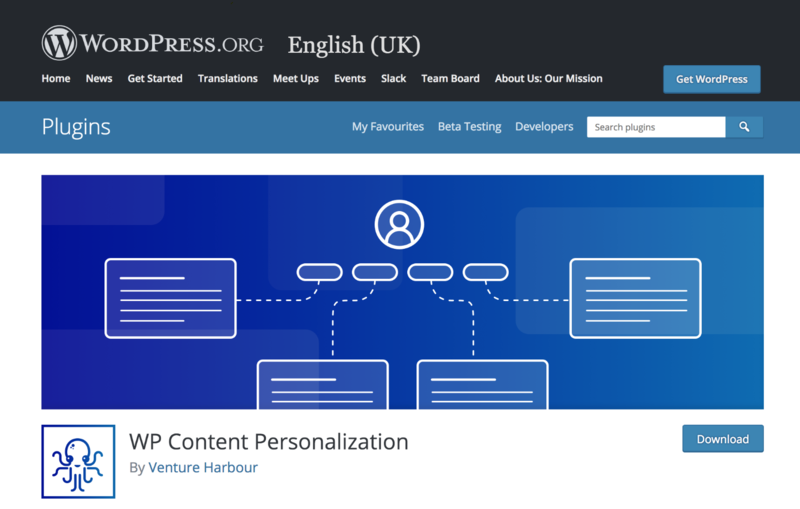 This is a great tool for personalising B2B content across your site and generating targeted leads based on user interests – something many personalisation tools overlook. Much like Optimizely, Adobe Target is an enterprise level CRO platform that comes with advanced personalisation features. In fact, Adobe Target was kind of the industry leader in this regard before Optimizely expanded beyond conversion optimisation and now these are two of the top contenders for enterprise brands who want an all-in-one CRO, personalisation and automation platform. Essentially, the goal of these two platforms is the same but they approach things very differently. For example, Optimizely is the more user-friendly platform for non-coders with plenty of WYSIWYG builders while Adobe offers more flexibility at the expense of added complexity. If you’re looking for enterprise level personalisation, you’ll have to try these out and see which one works better for you – there isn’t enough between them to recommend one over the other. The only thing I can say is Optimizely is a little friendlier for smaller businesses and budgets even if it’s not what we would call an SME tool. When BrightInfo says the likes of Cisco, HubSpot and Hosting.com are using its platform to increase conversions by up to 320%, you can’t help but pay attention. We’re talking about a more cost-effective option than Optimizely or Adobe Target, more along the lines of Evergage which we looked at earlier. BrightInfo’s machine learning algos scan your web content, analysing your pages and resources. It also creates profiles of your target audiences and then turns these datasets into real-time personalisations. The end result is a relatively simple personalisation platform that’s incredibly easy to use and makes a genuine impact. It doesn’t come with some of the more advanced features you’ll find on other platforms but it’s fully automated, which means you can pretty much set it up and let it do its thing. If you want automated personalisation without the hassle, this could be the option for you. Pure360 combines email marketing with web and email personalisation, cart abandonment recovery and customer profiling. It’s designed for ecommerce, retail and travel brands (rather than B2B) more than anything and this is the focus of its feature set. Personalisation is central to everything you do with Pure360, even down to targeting cart abandoners with personalised messages tempting them back to complete the purchase. You’re also looking at a pretty handy email marketing platform, too, with a solid set of automation features packed into the platform as well. 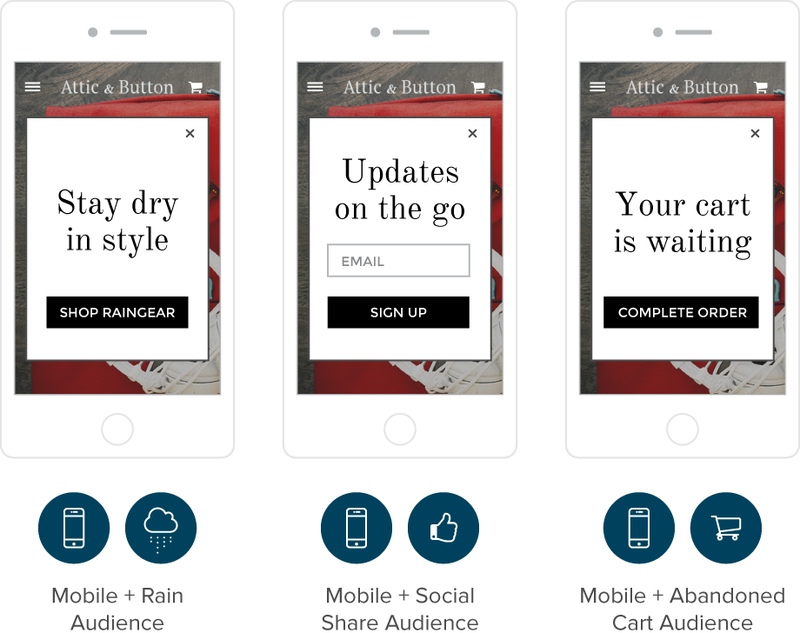 For retailers, Pure360 could be the all-in-one CRO, personalisation and email marketing platform. 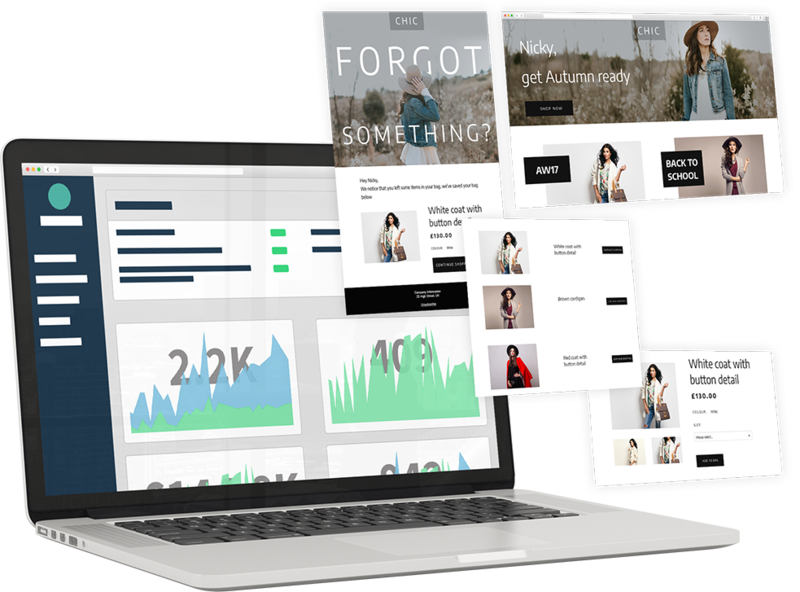 Episerver is another platform aimed at ecommerce and retail brands but it steps away from the rule based automation approach most platforms adopt. Instead, it combines statistical analysis and machine learning to create personalised messages based on user behaviour. This means you spend less time creating rulesets and workflows so you can focus on getting results. The downside is you get less control but this is the price you pay for a platform that cuts out a large chunk of the workflow for you. 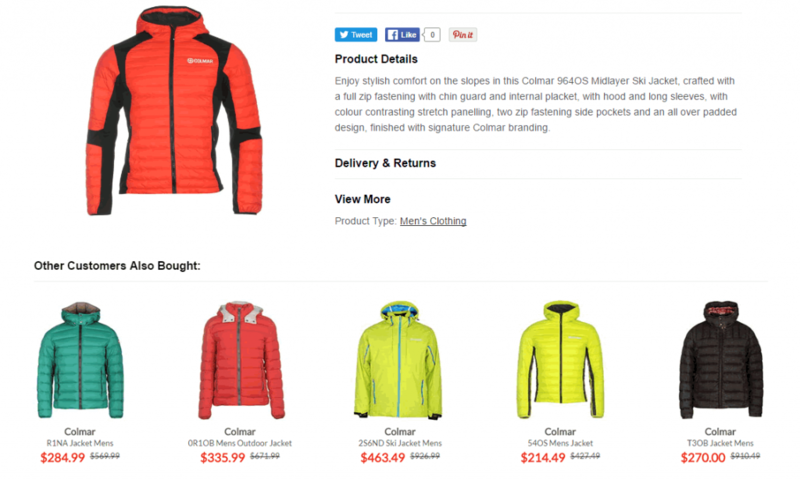 The good news is Episerver’s algorithms are highly capable and you get an extensive range of personalisation options. Personalised search, email recommendations, behavioural triggers, web content personalisation and content sequencing are some of the platform’s best features and there are plenty more where they came from. If you want advanced personalisation without having to set everything up yourself, check out Episerver. GDPR doesn’t need to get in the way of your personalisation strategy although it may mean you need to take a slightly different approach. The tools we’ve looked at in this article give you all kinds of new options to explore if your old strategy isn’t GDPR-compliant. And, if you’re new to marketing personalisation, you’ll find everything you need to get started.